Owners are lovely people that contribute to a warm and welcoming atmosphere and being very helpful. Beautiful surroundings. Accomodation was very comfortable and cozy. Close to the beach. Beautiful ocean view. Great for a relaxing stay. Cottage was very clean and comfortable; kitchen well-stocked with everything you need to cook and eat. Maggi and Jo were extremely helpful, friendly and informative. We enjoyed our stay very much and would recommend the place happily and enthusiastically to anyone looking for a great self-help cottage. Great location with amazing views, very clean. Maggie and Joe were lovely hosts, extremely helpful and nice, who made us feel welcome throughout our stay. I can only recommend the place. I would definitely go there again. Quite location with a very nice ocean view. The owner was very helpful and doing their best to make our stay comfortable, Maggie and Joe are your true friend in Seychelles. Next visit I'll come back to the same place coz we have a friend now who treat you like a family member. I highly recommended this place if you want to have unforgettable stay at Seychelles!!! Swiss-born host Margrit is a very diligent landlady who takes very good care of her properties, can arrange car rental for you and give you some helpful advice for exploring the island. We stayed in a stand-alone bungalow. The property has breathtaking views and is set in a wonderful and well kept garden. Host Maeggi is delightful. Chatty, helpful and informative. Nothing too much trouble. Chalet was spotless with a well equipped kitchen. Basic food provisions can be bought from village store and veggie stall. Anse Royale has a bigger supermarket. Chalet gardens quiet and peaceful with a perfect view of the ocean. Buses run up and down the coast road if you don’t hire a car. The cost is 7 rupees. Overall, wonderful start to the holiday! Thank you!! Fantastic accommodation. Extremely comfortable bed and equipped with everything you could possibly need. Maeggi and Jo could not have been more helpful. Lock in a great price for Chalets Bougainville – rated 9.3 by recent guests! Chalets Bougainville offers self-catering accommodations on the south-east coastline of Mahe Island, surrounded by tropical vegetation and only a 5-minute drive from Anse Royale. Guest accommodations at Chalets Bougainville are fitted with telephones offering free local calls and each unit is air-conditioned and equipped with a ceiling fan. 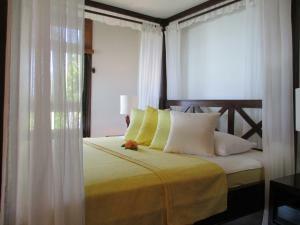 Guests can enjoy sea and garden views on the verandas, and prepare meals in the fully equipped kitchen in each chalet. Free high fiber optic WiFi is featured in all the units. 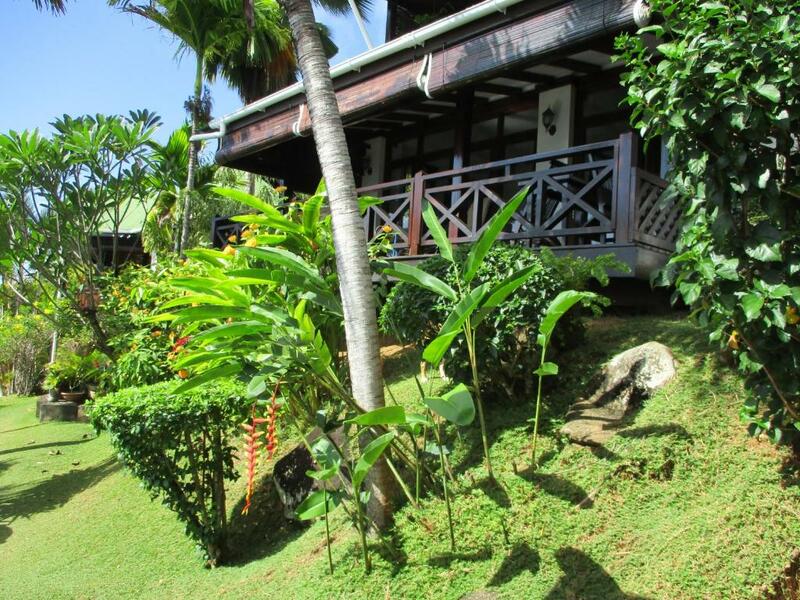 The property is within 5 minutes' walk from a restaurant, shop and Anse Parnel beach. There is also a bus stop nearby, and Chalets Bougainville can arrange airport transfers at an additional charge. Car hire is available at the property and the area is popular for snorkeling and diving. A selection of activities is offered in the area, such as fishing and hiking. The nearest airport is Mahe International Airport, 8.1 mi from Chalets Bougainville, while the town of Victoria is 14 mi away. 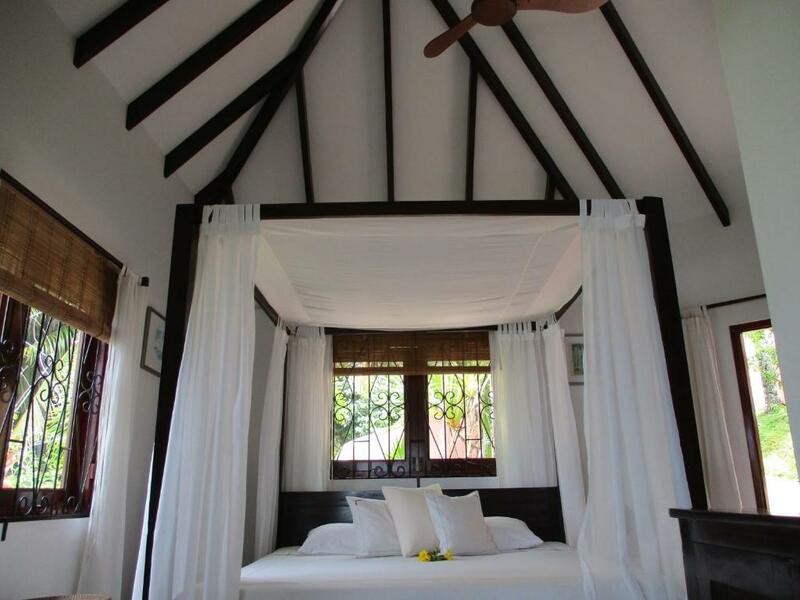 When would you like to stay at Chalets Bougainville? Known as Chalet Guava, this air-conditioned chalet includes a kitchen and a seating area with a flat-screen TV. Offering sea views, the unit has a veranda and a garden. Please note, beach towels are not provided. This room cannot accommodate an extra bed. Offering sea views, this air-conditioned studio offers a covered veranda, a kitchen and spacious bathroom. 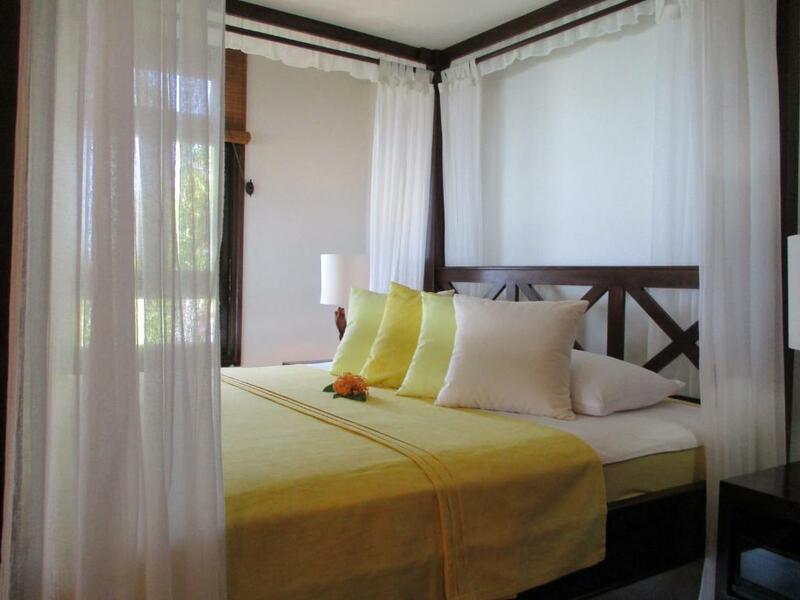 Known as Villa Lemon, this air-conditioned chalet offers sea views and has a covered veranda. It offers a kitchen and a spacious bathroom. Please note, beach towels are not provided. 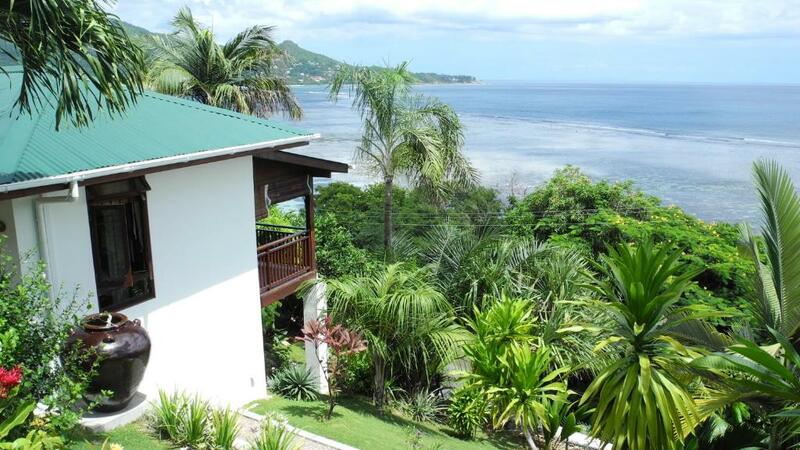 Our property is nestled on a little hill along the southeast coast surrounded of a rainforest flora and our chalets promise absolute privacy, peace and breathtaking ocean views. Very closed to us, 3 - 5 minutes walk, you find the beautiful beach Anse Parnel with a beach restaurant called "Surfers". From our location you are very fast in Anse Royal where you find today Bank, ATM, Shops, Restaurants etc. We have also nearby a busstop and shop, 3-5 minutes walk. 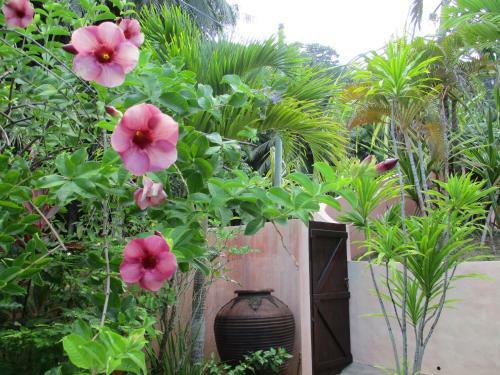 Not far from us are all known beaches as well the "Jardin du Roi"which was the first spice garden in the Colonial time. House Rules Chalets Bougainville takes special requests – add in the next step! Chalets Bougainville accepts these cards and reserves the right to temporarily hold an amount prior to arrival. Please inform Chalets Bougainville of your expected arrival time in advance. You can use the Special Requests box when booking, or contact the property directly using the contact details in your confirmation. The location is slightly off the beaten track on the southeast side of the island. You need a car at all times to explore beaches, go shopping or to a restaurant (there is one good restaurant in a nearby bay that can be reached by foot). At times it may feel a bit remote and in the wilderness. Getting around is not that easy. Probably having a rental car would be a good idea. Taxis sometimes have difficulties finding the road. Road to the entrance / parking is very steep (quite normal in Seychelles, but for inexperienced drivers might be a challenge). Due to lots of fruit trees in the garden, a lot of fruitbats fly around and can be quite noisy at night (still a nice, special experience). Hosts were very friendly, gave us a lot of advice. Chalet was cute with big terrace facing the sea. Wifi & AC were also properly working. Location was great, close to the coastal road, having beautiful beaches, good restaurants, bank, shop etc. in easy reach (by car). We stayed in Chalets Bougainville during our wedding&honeymoon. We enjoyed our stay. The hosts Maeggi and Joe welcomed us very nice. They were taking their jobs very seriously. They are very friendly and talkative people. The place was kept very clean , everyday towels were changed , fresh local flowers were put. The kitchen has all the equipments where you can prepare breakfast or snacks. 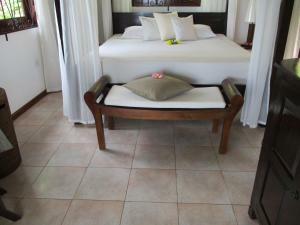 There is a powerful aircon in the room , free wireless internet and free phone for local calls. 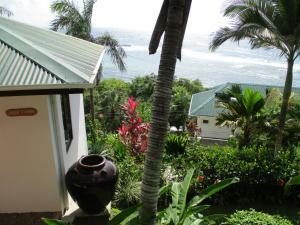 Our villa had a very nice veranda overlooking to greenery and ocean which we enjoyed a lot. If you are not into all in resort hotels and want to have an easy and relaxed stay I would definetely recommend to stay in this nice place. We stayed 2 weeks in this beautiful place. Maeggi and Joe are very friendly, positive people, always ready to help on any issues. The villa is very clean, cosy, with an incredible view of the ocean. The location is ideal, very quiet, but all the necessary infrastructure is nearby. Excellent wi-fi, very fast and free. The villa has everything you need for a comfortable stay. We will definitely return to this beautiful place more than once and recommend everyone to stop at Mahe with the good people of Maeggi and Joe.